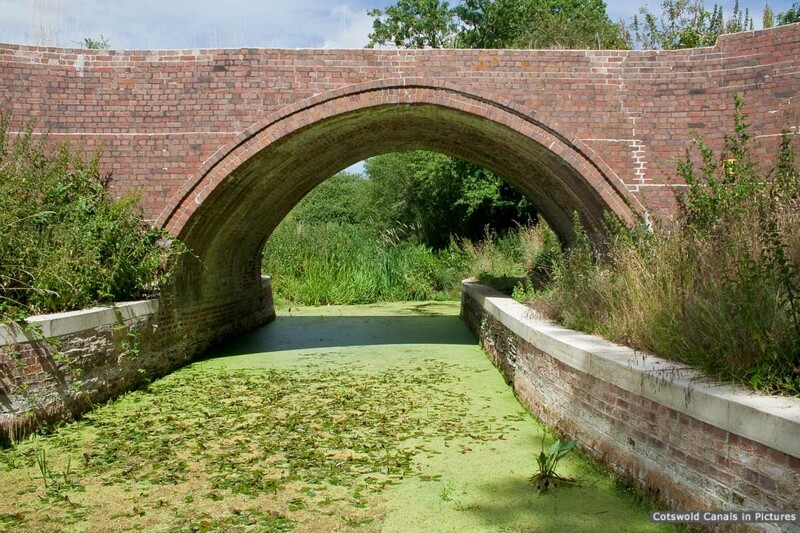 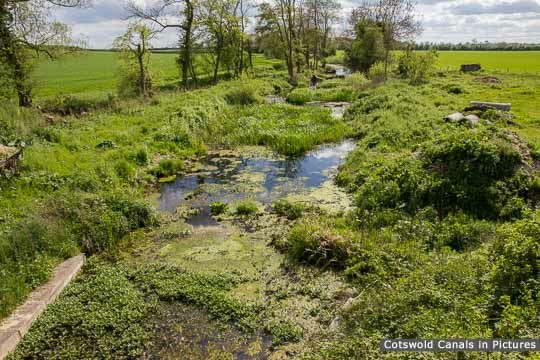 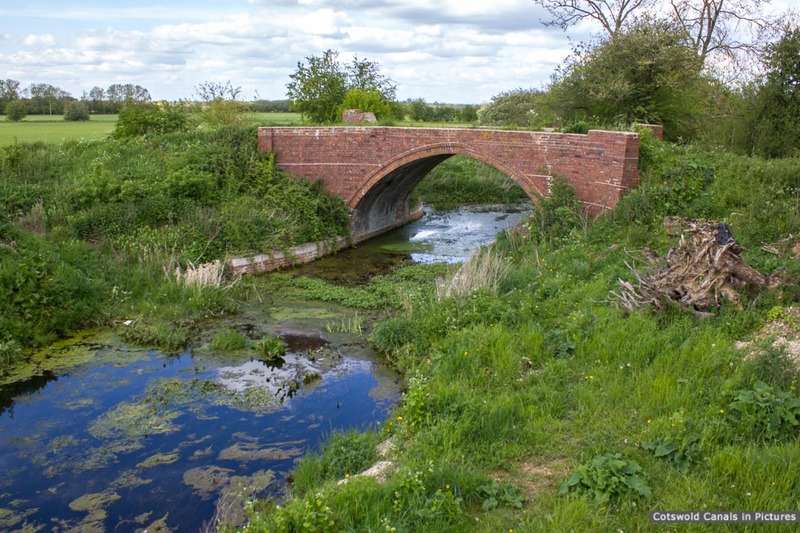 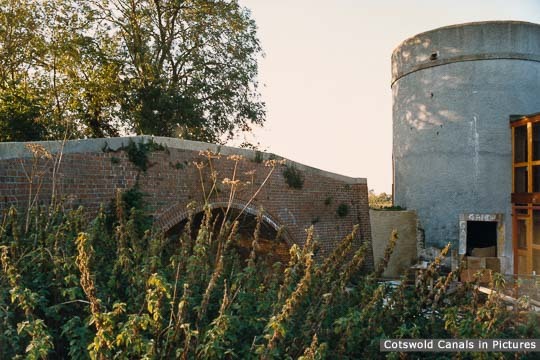 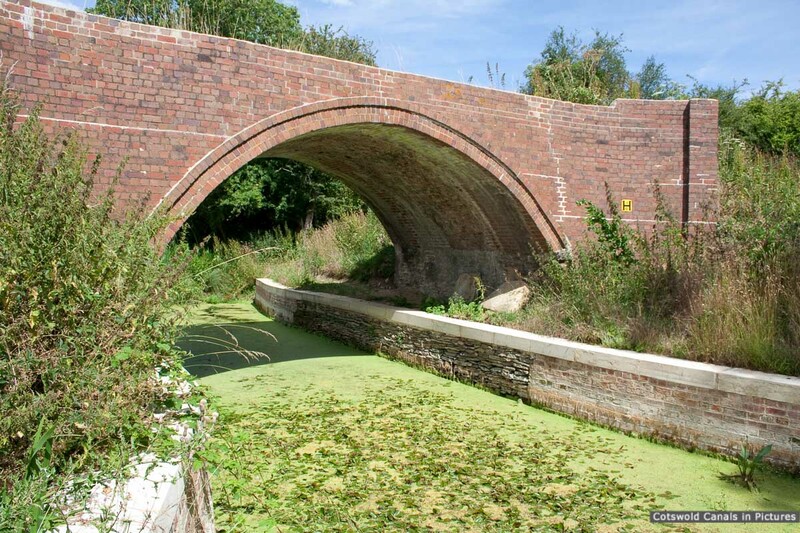 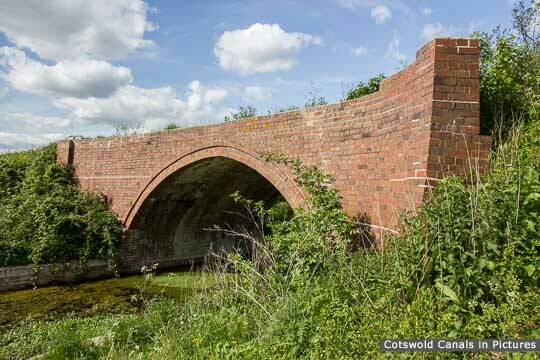 The bridge, and the channel wing walls beneath, have been restored by visiting volunteer groups supported by the Cotswold Canals Trust. 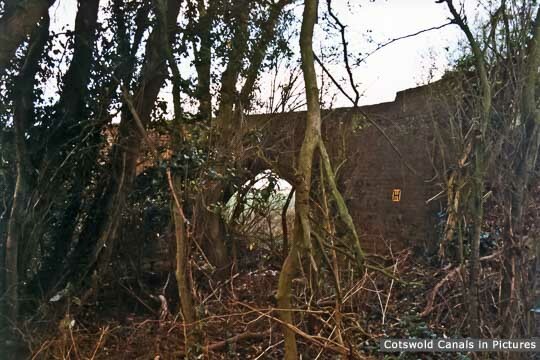 The bridge is missing most of its parapets, this is to allow wide farm vehicles to cross. 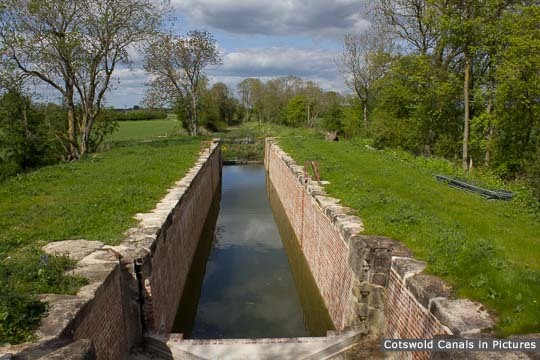 Access: No public access to this section of canal.